1. Environmental Protection: the machine is using electromagnetic heating, no carbon emissions, carbon emissions to the operating environment is zero. 2. low Consumption: the machine uses a composite pan(roller),to protect the heat not be scattered outside. The thermal efficiency can reach more than 95% and can save over 45% power consumption than the traditional roasting machine. 3.Saving Time and Power: the pan(roller) will heating directly does not need any heating transfer mode. It can reach 100 ℃ in 30s after powering on. Greatly improved working efficiency and reduced heat energy consumption in the thermal transmission. It consumes 0.6kw to roast 5kg of raw sunflower seeds and consumes 0.55kw to roast 5kg of sesame. 4.Selected Materials: all stainless steel materials, to ensure the health and safety of roasted products, conform to the GMP standard. 5. High Temperature: the highest temperature can reach 400 ℃. 6. Human-machine Interface: humanized design, intelligent control and convenient parameter setting . 7. Exactly Temperature Control: the temperature control precision in operation can up to + 2%, to ensure the quality of roasting products each pot is the same, the color is consistent. Therefore, the requirement of professional operating skill is low, can reduce recruitment requirements standards. 8. The function of malfunction self-diagnosis can display the malfunctions obviously. 9. Small volume, easy to install and move. 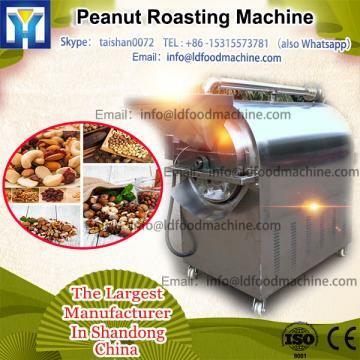 As a Verified Gold Supplier in GT9-16 150-300kg/h Low Noise Automatic Commercial Electromagnetic Peanut Roasting Machine, we have cooperated with over 1000 customers from more than 80 countries in 6 continents. Our main market is South East Asia, Middle East, South America, Africa,USA and Europe etc.